Superweeds are dominating the discussion at the American Chemical Society (ACS) symposium, being held in Indianapolis thru Sept. 12. Not surprisingly, the solutions proposed include different toxic brews in tandem with stacked genetic traits in a never-ending chemical arms race with Mother Nature. 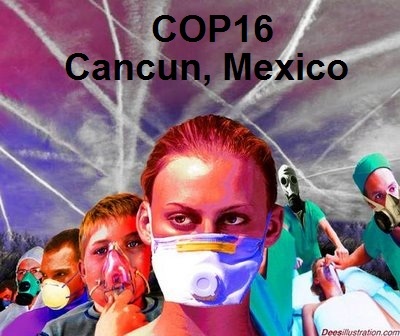 In Cancun, Mexico, the United Nations Framework Convention on Climate Change is under pressure to overturn the UN ban on chemtrails. This would dissolve an agreement reached in October at the UN Convention on Biological Diversity conference in Japan. In that landmark decision, the 193-member CBD agreed by consensus to a moratorium on geoengineering projects and experiments. The US has not agreed to it. Lately, we’ve seen a massive marketing make-over of environmental modification (ENMOD) programs. 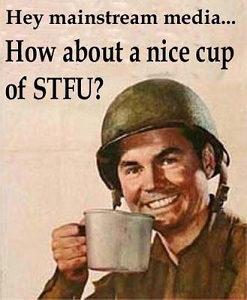 What has been a clandestine and hostile military application now is promoted as a “futuristic” solution to corporate pollution. Debunking mass media’s mischaracterization of geoengineering as “futuristic” is in order. Below we take a closer look at those organizations planting such disinformation and offer sources on the harmful effects of geoengineering. One technique of atmospheric geoengineering uses aircraft to spray the sky with metals and chemicals. These pollutants affect the air we breathe, the water we drink and the food we grow. Crops genetically engineered for immunity to aluminum, which is toxic to natural plants (and humans), are unaffected. 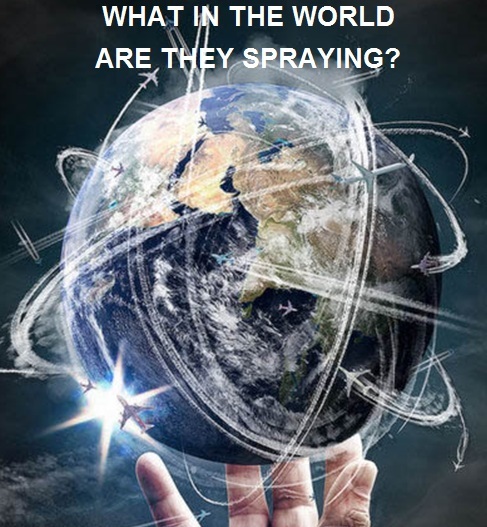 Addressing these issues, a new film, What in the World Are They Spraying, will have its world premier in Atlanta, Georgia on Saturday, October 23, 8 pm, at the Atlanta History Center.